When Irving J. Segall graduated from high school in North Philadelphia where he was born, his yearbook read: ‘Ambition: “Member of The Philadelphia Orchestra”’ - he did just that… and then much more. His father, a Romanian immigrant, had a business making wood fixtures for retail display (photo on page three). Irv studied violin until his hands grew larger - he was six feet, four inches (193cm) tall - at which point he was switched to viola. He was a graduate of Philadelphia’s Curtis Institute of Music, also studying privately with Raymond Brown, then Leonard Mogill. 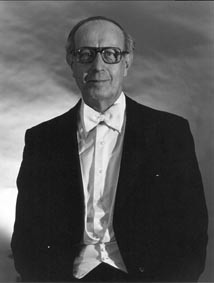 Irv taught in the Philadelphia public-school system and at Settlement and Jenkintown Music Schools in the Philadelphia area. He had private students as well. In the army, Irv was occasionally excused from operating the radar on B29s to play tours with Andre Kostelanetz and Lilly Pons. After the army, like most struggling musicians, he free-lanced, playing contract string-jobs of all sizes, including all the major acts as they passed through the East Coast, like Frank Sinatra and Dean Martin with Jerry Lewis. Sometimes, running from hall to hall with his instrument under his arm, he played more than one job per night. In present-day comfort, he would recount romantic stories of those scrambling days: at the union hall, waiting for jobs to be announced over the PA system, players would go up to repeatedly have themselves paged over the microphone to appear as though they were a player very much in demand, in an attempt to be hired more easily for the next job called. Irv played with the original WCAU Radio Orchestra. Still residing in Philadelphia, he played in The Baltimore Symphony, commuting most of the time. He finally realized his dream, passing an audition in 1963 for Maestro Eugene Ormandy to earn a coveted chair in the viola section of The Philadelphia Orchestra. He played until 1994 and then continued to substitute for four years after his retirement while also playing with Peter Nero and the Philly Pops. 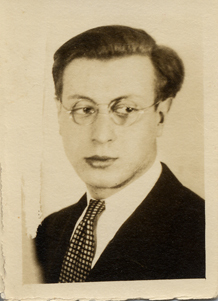 Not long after entering the Orchestra, he began to feel the labor unrest of the players - even in that major orchestra - and joined and eventually became a pivotal chairperson of the Members’ Committee, a liaison group between players and management, where he designed and negotiated labor contracts.